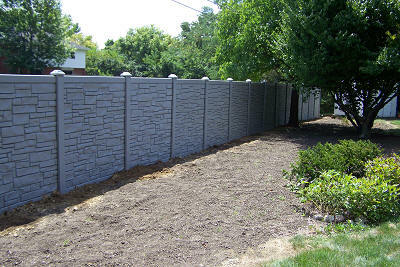 Top Choice Fence is one of the few companies in Central Indiana to offer the SimTek rock and stone wall fencing. 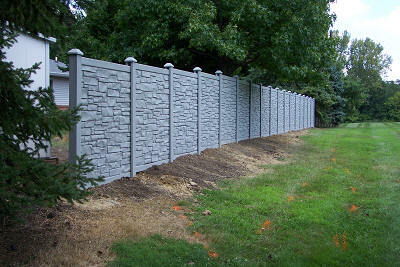 We are a direct dealer for SimTek fence and offer it at the lowest possible cost. We have experience installing this fence and can help you whether you are looking to install yourself or have us professionally install it for you. 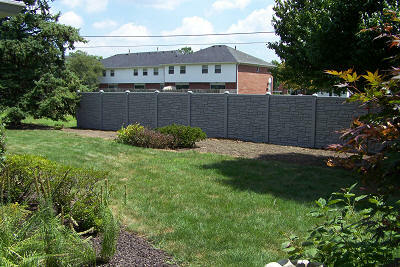 The Rock Wall fencing is available for both residential and commercial applications. The SimTek fence offers the strength and durability of concrete walls, but it is basically maintenance-free. SimTek fencing requires no painting or sanding, and it is actually graffiti-resistant. Any paint sprayed on the walls can quickly be removed with a citrus-based cleaner and a high power pressure washer. SimTek fence has a lifetime warranty and is built to last through many generations regardless of weather conditions. 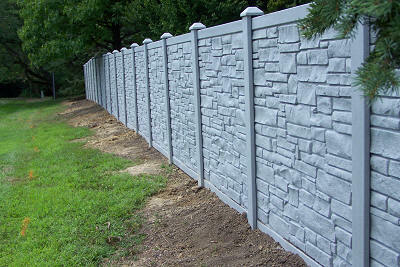 All of our rock wall fence posts are "wet set" in concrete. Wet set is where the concrete is mixed prior to pouring into hole. It eliminates the air pockets or unmixed concrete that you get from dry setting. This process makes for a stronger foundation for your fence.